TeliaSonera has opened up its LTE (Long-Term Evolution) mobile network in Gothenburg, Sweden's second largest city, and is preparing to accelerate its build-out to include 218 Swedish towns and cities during 2011, it said on Wednesday. In December, TeliaSonera became the first operator in the world to launch a commercial LTE network. By the end of the year, 25 towns and cities will have some LTE coverage, and during 2011 that number will grow to a total of 218, according to TeliaSonera. A recent test of the LTE network in Stockholm resulted in download speeds at up to 59.1M bps (bits per second). Under optimum circumstances, the network can offer download speeds at up to 80M bps, according to TeliaSonera. There isn't a set timetable for when each place will get LTE. The speed and the ease at which TeliaSonera can secure either fiber or radio links between the base stations and its core network will decide that, according to Erik Hallberg, head of Mobility Services at TeliaSonera. Existing LTE base stations in Stockholm and Gothenburg have a fiber connection, he said. LTE using the 800MHz band is already included in the network planning, according to Hallberg. Even though that band has yet to be auctioned off, TeliaSonera is banking on getting some spectrum in the band, he said. Today, TeliaSonera uses only 2.6GHz. However, TeliaSonera isn't just building an LTE network, the operator is also upgrading its GSM, EDGE (Enhanced Data rates for Global Evolution) and 3G networks, according to Hallberg. TeliaSonera is upgrading its 3G network to HSPA+ (High-Speed Packet Access) at 21M bps. EDGE, in the version that TeliaSonera uses, may only offer speeds at up to 200K bps, but can still be used to read e-mail and listen to streaming music from Spotify in the most remote locations, Hallberg said. "It is better to have a slow connection than no connection at all," he said. In Sweden, TeliaSonera's competitors are getting ready to launch LTE too. Telenor and Tele 2 have joined forces to build a network that will cover over 100 cities and towns by the end of 2011. Telenor is planning to launch a commercial service by the end of the year, according to a spokeswoman. 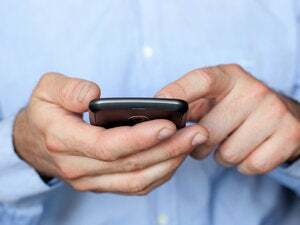 Up to 22 LTE networks will be in commercial service worldwide by the end of 2010, according to data from the Global Mobile Suppliers Association (GSA).